This is “Circling the Airport” by The Two Man Travelling Medicine Show. I wrote the words which would become the lyrics to this sing for two reasons. One was to honour the memory of my friend Alan Ball. The term “Circling the Airport” was an ‘Alanism’. He used it to describe that feeling you get of the room spinning when you’ve had a few too many drinks. It was the title of one of the country songs we were constantly threatening to write together. I hope that it also describes the sense that we all have connecting us to the loved ones we have lost. That feeling that they are always near us but perhaps slightly out of reach; just beyond our peripheral vision. It’s not a comfortable feeling but one we hold on to tightly and dearly. Sometimes when we are tired, distracted or just sitting on a bus and dreaming it really feels like someone lost and missed sits down beside you and you know they will keep you company- as long as you don’t turn your head. I’ve written about Alan before. Search the website of http://www.litro.co.uk for “The night I got lost on the way home from China” to find out more. Or just click the link below. Then search this website for the same to read more. The lyrics started life as a poem I wrote a few years ago when I was living in quite an isolated way and walking a lot at night. I became quite interested in the way the mind works under those circumstances, how it produces both paranoia and mythology, how much fear and significance can become attached to very everyday objects and small marks. I should acknowledge that the black cat who appears in the lyrics and to some extent the idea of ‘marks’ were inspired by a character in a short story by Neil Gaiman called “The Price” which appears in a book called “M is for Magic”. 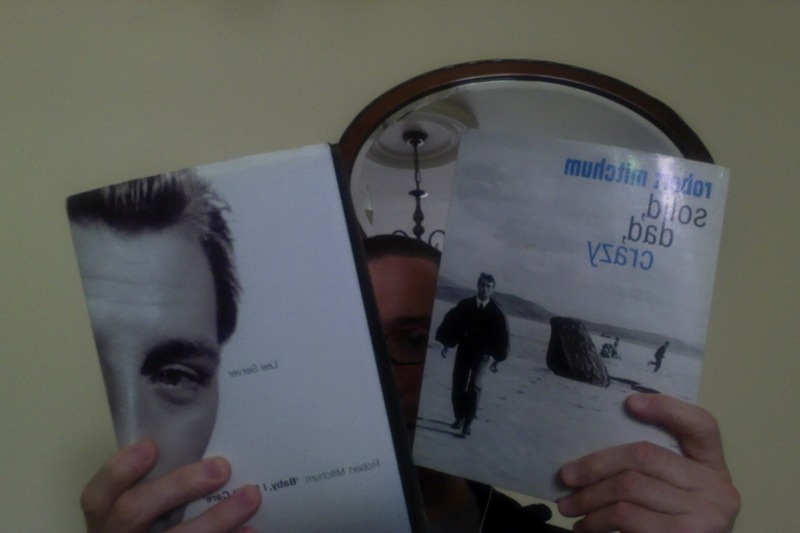 What would Bob Mitchum do?